South Street Seaport has mostly been in the background of my life. I vaguely remember seeing the tall ship as a child, maybe on a field trip or when my grandparents would take me to the Staten Island Ferry. It's a 15 minute walk from my grandparents' apartment in Chinatown but always has been a world away to me. As an adult and resident of New York I've actively avoided it - I had the perception that only tourists go there and it had basically turned into a bland mall filled with the 500th location of multinational corporations. I'd take any out of town visitors to the Highline or Prospect Park or the Lower East Side or the Guggenheim, never the Seaport. Those are places that I wanted to share with others, they're part of what, to me, makes New York unique. I've spent a lot more time down at the Seaport this past year and I've gradually developed a fondness for it. Sort of like how you dismiss a certain genre of music as being "not for me", and then you listen to it a bit more and you sense there is something that resonates underneath. There's the allure of being right by the water, and I never tire of watching the light change throughout the day on the river. It makes me realize how much the city turns inward toward the land, but right on the Seaport the water is so tantalizingly close. Coming to this space as a participant rather than a bystander had a lot to do with the shift in my perception. Every Sunday we carved out a bit of space in a parking lot to set up Lonestar Taco and I interacted with hundreds of people from all over. Neighborhood residents, east siders, jerseyites, out of towners. 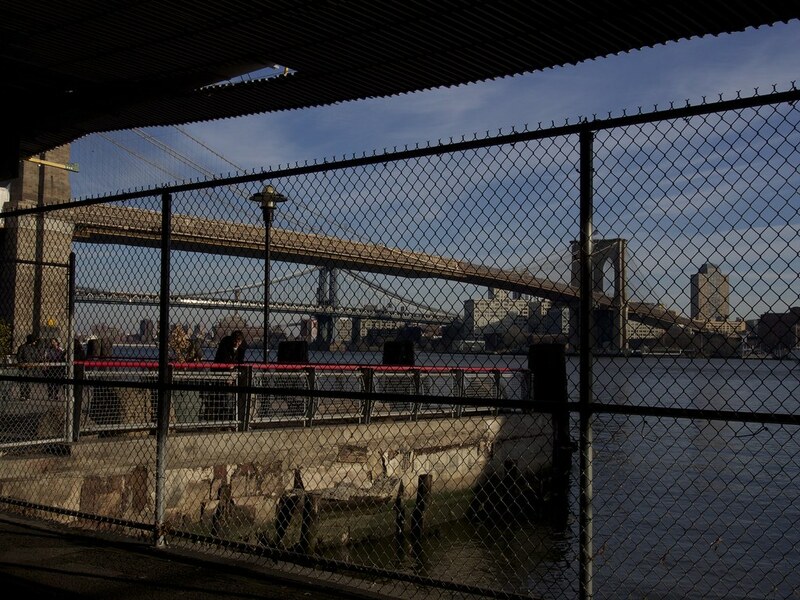 People still feel a draw to this place, whether for New Amsterdam Market, the history, being on the water, catching a ferry, taking a bike ride. I began to sense how vibrant the seaport had been in the past and the potential of what it could be. How does one create a sense of place and identity? How does one place gain momentum and turn into something lively and vital while another withers away? Through being involved with New Amsterdam Market, I can see how one person, then a small group of people, can slowly gain consensus and bring a community together to the point where there is the possibility to sway forces larger than ourselves. Right now everything feels so precarious, just a tiny breeze and the future of the Seaport and its residents could be swept in a totally different direction than what everyone was expecting. I feel like I'm part of this community now, and the future of this community is going to have a citywide impact for decades to come. In my travels, almost the first thing I do is ask where the market is. I've come to realize that it is an expression of a people and a culture. If New York is a world class city, where is our permanent market? Who are we and who do we want to be?